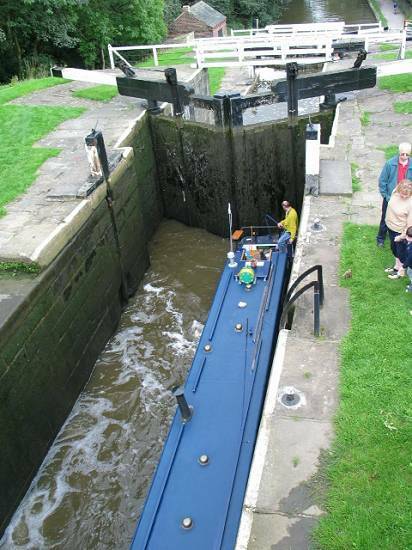 A canal lock is used to raise or lower the water level, and are usually kept together in flights such as those at Bingley five rise locks. 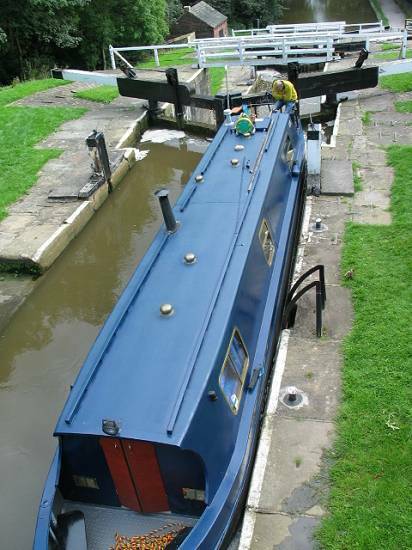 When a Narrowboat is going upstream the bottom gate opens to allow the boat to enter, the paddles on this gate which allow water to empty are shut. The gate is closed and the ground paddles are opened. They are situated on both sides of the lock and the water is channeled through a tunnel into the lower lock. 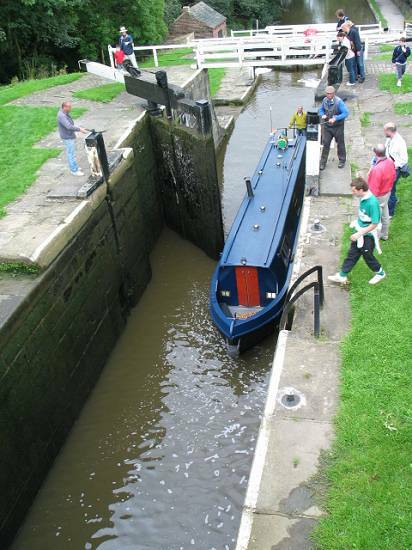 The boat begins to rise as the lock fills with water. Ground paddles are usually found on upper gates as they are easier to control the flow than gate paddles which can turn the water into a torrent when first raised. When the water is level the upper gate can be opened and the boat continues on its journey.